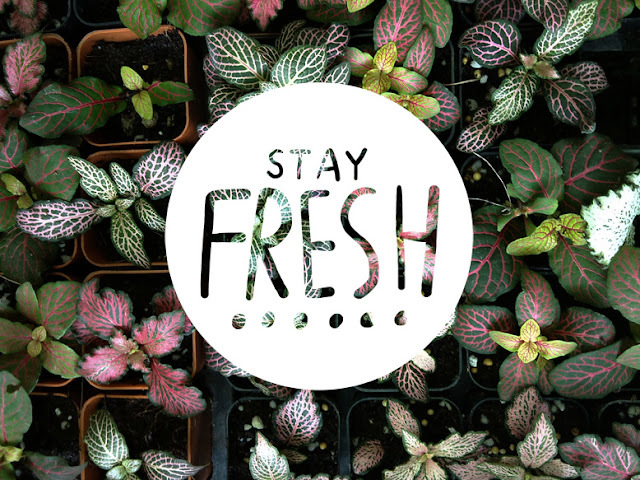 a pleasant reminder for you today: stay fresh. all of this blogging business makes it easy for a person to want to be cooler than they may actually be. if you can't look cool taking selfies, don't have a cute baby, or a naturally-witty-yet-coloquial writing style, don't worry. you'll get it. or maybe you won't. but in any case, this is a reminder to fake it 'til you make it. keep it fresh, keep it cool.